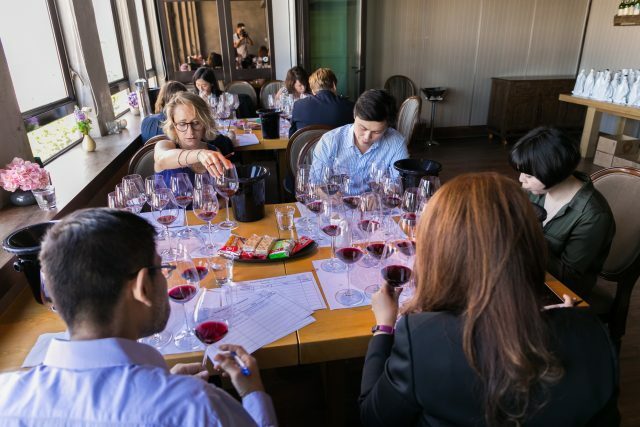 Syrah, the noble grape variety that has expanded from its home base in the Rhône Valley to inspire ‘Rhône rangers’ in California and feverish followers in South Australia, came under close scrutiny at our Asian Syrah Masters competition. A cherry-picked panel of judges blind-tasted and assessed a wide array of Syrah samples at Hip Cellar on 29 August. 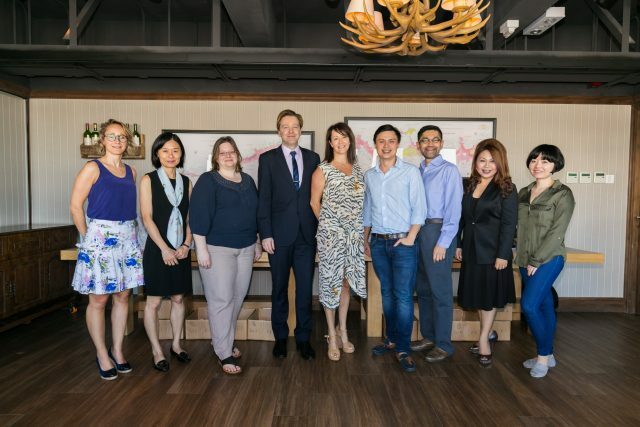 From left to right: Francesca Martin, founder and director of BEE Drinks Global; Ivy Ng, publisher of the drinks business Hong Kong; Jude Mullins, international development director of the WSET; Darius Allyn, Master Sommelier; Amanda Longworth, head of Marketing & Wine Services, Berry Bros & Rudd, Hong Kong; Eddie McDougall, The Flying Winemaker; Ying-Hsien Tan MW, executive director of Taberna Wine Academy Pte Ltd; Jennie Mack, co-founder of AWSEC and Natalie Wang, online editor of the drinks business Hong Kong (observing). Many industry heavyweights such as Jancis Robinson MW have suggested the red grape has, “two distinct personalities” – the powerful, rich, and concentrated Shiraz from Australia and the fresher and more perfumed Syrah from the Northern Rhône. Never having being eulogised as an immensely fashionable grape, as Pinot Noir is, or an overtly adaptable variety like Cabernet Sauvignon, the grape has had its fair share of boom and bust. Outside of France, in the late 1990s, staunch followers in California dubbing themselves ‘Rhône rangers’ pushed up plantings 400 acres in 1992 to 6,800 acres, followed by waves of increased plantings in Australia and Chile. Yet, almost during the same period in the Languedoc, a mysterious vine disease affecting the grape led critics to speak of “Syrah decline”. But the resilient red variety has never strayed too far from centre stage and has steadily climbed to be one of the world’s six most planted varieties of either colour. As shown in our Asian Syrah Masters, the grape’s consistency and malleability ranging from almost Pinot-like elegance to high-octane powerhouses demonstrate the variety’s enduring appeal. This probably explains why the Asian Syrah Masters is the best performing red grape variety competition in our Asian Masters series so far. A cherry-picked panel of judges including wine educators, a Master of Wine, a Master Sommelier and top merchants in Hong Kong, handed out five Masters and 15 Gold medals, 21 Silvers and 29 Bronzes after blind-tasting samples from Switzerland, South Africa, Chile, Australia, Italy and France. Unlike Pinot Noir, where care and attention is essential in crafting a fine wine, Syrah is relatively more forgiving, which is not to say the variety is tolerant of winemaking faults. In fact, if picked too early, the wine can be too astringent and take on unpleasant whiff of burnt rubber; and due to the fact that it is reduction-prone, without sufficient racking and aeration during fermentation, it can reek of rotten eggs or dirty drain. But given the choices available to winemakers such as whole bunch fermentation, freedom with new or old oak, use of stem and extraction technique, styles of Syrah can vary vastly, making it, “one of the more exciting varieties for winemakers to work with,” commented Francesca Martin, director of BEE Drinks Global and one of the judges for the competition. Indeed, from the lighter, fresher style in Hermitage and Côte-Rôtie, to lesser known examples from the Valais in Switzerland or Washington State in the US, to the upcoming Swartland in South Africa, and eventually to Australia, there are abundant styles that vary enormously with climate and winemaking techniques. “In terms of the styles I’m coming across from around the world, the finest examples still show these varietal and regional characteristics that make for interesting individuality,” commented Ying-Hsien Tan MW, executive director of Taberna Wine Academy Pte Ltd.
“I noticed in this tasting that there were more and more wines that have the distinctive notes of whole bunch and carbonic maceration techniques. 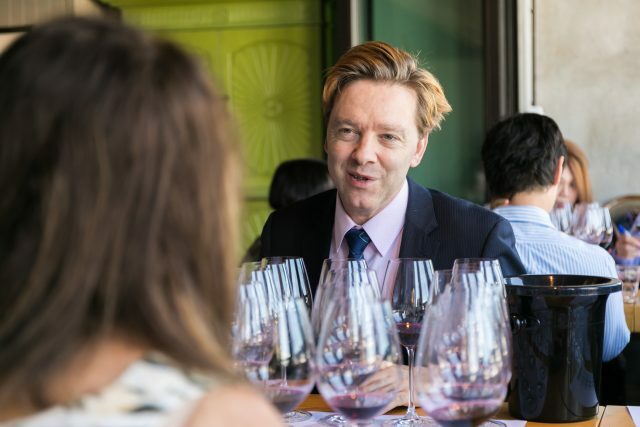 It’s really obvious to pick out the wines that are really going for a style that reflects those of the classic Cornas or Hermitage,” added Eddie McDougell, the Flying Winemaker. But the challenge for winemakers when dealing with the grape is not to mask its regional and varietal characters with excessive winemaking techniques, Tan noted. “There also seems to be a convergence of techniques by winemakers around the world that emphasises depth of colour, rich fruitiness and in some non-European countries a focus on tannic structure that tends to first, anonymise the wines subduing their regional and varietal distinctiveness and second, a tendency to produce wines that seem to be over extracted without such firm, dry tannins. It often feels like one is chewing on a twisted muscle,” he elaborated. Nonetheless, “It was interesting to acknowledge how Syrah/Shiraz wines can produce various expressions that could appeal to a wide range of wine drinkers. It is quite rare that Syrah/Shiraz wines disappoint,” Jennie Mack, co-founder of AWSEC asserted.